Sprinklers are meant to reduce the potentially devastating effects of fire and are one of the most effective and reliable systems available. However, even sprinkler systems need a solid level of maintenance in order to stay in excellent working order. Here are a few of the reasons fire sprinkler systems malfunction when you need them the most. While 91% of sprinklers do activate when they are supposed to, approximately 9% of the time they are ineffective. Why? It’s a combination of things, including a system that has been turned off due to inactivity in the building or a lack of understanding of the platforms. If there’s a water leak throughout the system, the sprinkler system is often turned off. Inexperienced staff members may not realize the business value of a fully workable fire sprinkler system, or perhaps they simply forgot to return the system to working order. Corrosion or damage to the pipes that send the water where it needs to go can impact the ability of the fire sprinkler system to deliver life-saving water when it is needed the most. The minerals and additives in water have a bad habit of eating away at pipes, causing leaks and a lack of pressure at a dangerous time. Regular maintenance reviews by your professional fire protection partner and rigorous testing are the best ways to ensure that your system is in full working order. Depending on the part of the country where your business resides, freezing can be a big problem for sprinkler systems. They are often piped through industrial areas that may or may not have adequate insulation, leading to a buildup of ice that can expand within the pipes and cause cracks, leaking and lack of pressure. Adding antifreeze to the system helps protect the lines from the dangers associated with extremely low temperatures. Your office staff is unlikely to be thrilled if the air conditioner goes out, and they are suddenly drenched in water on one of the hottest days of the year! 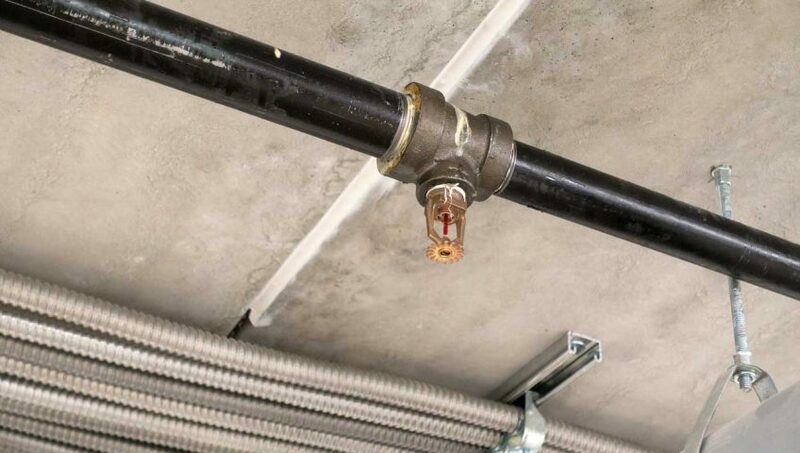 When you are defining your fire sprinkler tolerances, be sure to keep in mind the maximum internal temperature that is possible or probable before setting the tolerances of the system. Poor installation practices and the lack of a structured review process together can make for an inexcusably poor fire sprinkler system. Working with a trusted fire sprinkler service provider gives you the peace of mind that you need to know that you’re fully protected by a system that is up-to-date. This helps protect your investment as well as your staff and customers. 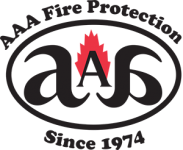 At AAA Fire Protection, we are continuously looking for ways to support the fire protection needs of your business while reducing your overall insurance liability. Contact our friendly and knowledgeable professionals today at 855-778-7807 for a free no-obligation quote. You will see the difference in service — and in your reduced insurance cost!